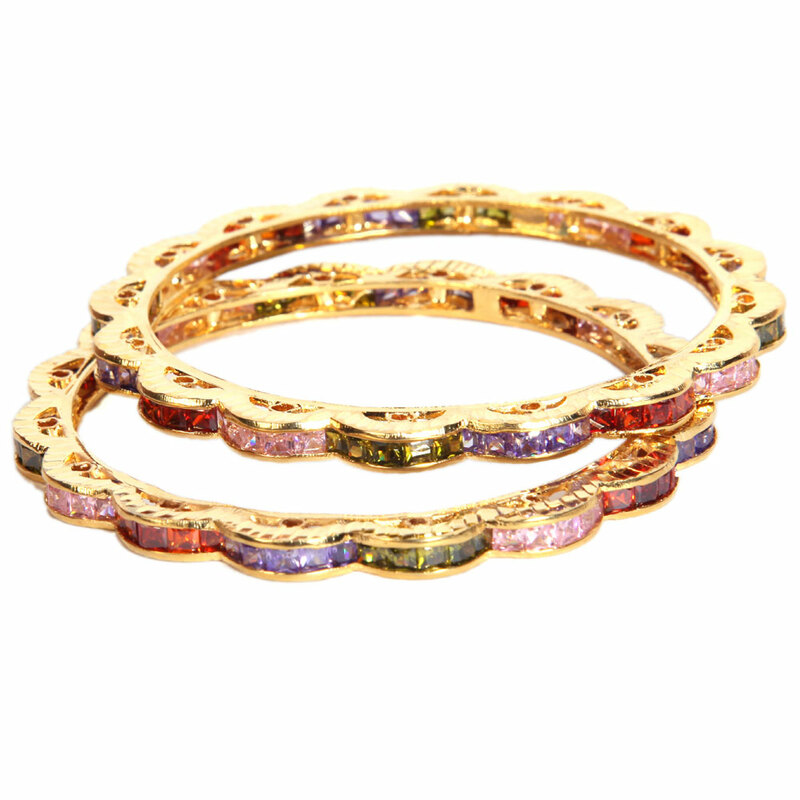 The use of colorful CZ stones to brighten the highest of the higher wavy frame adds to the enticing look and charm of bangles. The exquisite look of this pair of designer bangles comes from the double layered framework that has been crafted out of a gold plated brass Read More..metal. The use of multicoloured CZ stones to decorate the top of the upper wavy frame adds to the attractive look and appeal of bangles. Show Less..